Join us for an evening of painting fun and learn about our kindergarten program! 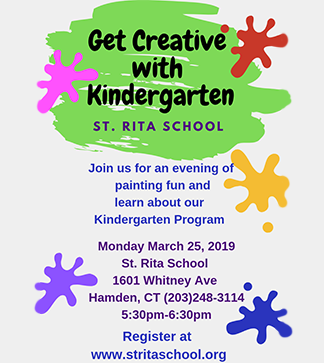 This event will be on Monday, March 25, 2019, from 5:30 to 6:30 p.m. at St. Rita School, 1601 Whitney Ave., Hamden, CT. Please register using the form below today!